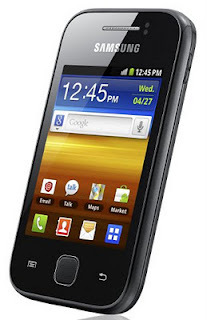 To satiate the hunger youths for Android phone, Samsung comes up with Samsung Galaxy Y. It is an up-to-date phone with Android Gingerbread OS for younger segment. Galaxy Y is an inexpensive feature rich phone. If You are Young, Samsung Galaxy Y is for You! The phone has been designed for youths keeping in mind YOUR need, lust for updated Android OS, and most importantly, YOUR budget. This is a stylish touchscreen sleek phone in classic Black color. The phone is not a giant screened but it ensures, you can watch your favorite movies or videos. Considering your big circles, it is full of social networking and communication apps, and you have freedom to download more networking apps from the Android Market. 832MHz processor speed for smooth performance, just the way You love smoothness in your life! 832MHz processor lets the phone perform apps smoothly and properly. It doesn’t hangs in between to annoy you. You can watch your favorite video on YouTube at reasonable speed and play 3D games on your phone. Big storehouse for keeping wide ranges of music, videos, wallpapers on phone! The phone has 32GB expandable memory. You can carry all YOUR favorite music files, video files, wallpapers, movies, and documents with you. Roll on your favorite music! With inbuilt music player and DNSe sound technology, the phone provides enhanced music experience making you roll on YOUR favorite music. With multiple audio format support such as MP3, AAC, AAC+, eAAC+, WAV, and AMR, it is a complete entertainer phone. With FM radio, tune to music stations and listen to music & enjoy funny and crispy conversations of your popular RJs. Click the scenes and shoot the videos for your long memories! Click images of YOUR friends and relatives with 2MP camera. The high quality camera with 2x digital zoom, shot modes, photo effects, and white balance lets you capture crisper and clearer images in static and dynamic state. You can also shoot videos @15fps of the enjoyable moments. Powerful battery for uninterrupted stay on trip! Samsung Galaxy Y has powerful lithium ion 1200 mAh battery with 17 hours of talk time on 2G mode and 6 hours on 3G mode of talk time. The standby timing is also reliable. It offers 35 standby on 2G and 22 days on 3G mode. With WAP, java, and 3G, you can surf the web in stay at high speed. It has inbuilt Google Search bar. Don’t miss to update status on Facebook! Update status or keep track of recent activities of your buddies on Facebook. Yes, you can stay connected on popular networking sites such as Facebook, Twitter, and more. Activate Mobile Tracker and stay tension free! Now, don’t take tension for your phone. Just activate the mobile tracker feature on your phone. You can easily track the phone, when lost or stolen. With such exciting features and stylish look, the phone is perfect for “Y –Gen”. Samsung Galaxy Y costs Rs 6990. Google’s next flagship phone, Nexus Prime is expected to be released in between November and December. Samsung is again lucky to be chosen by Google for building “Google Phone”. It is the third official contract between Google and Samsung. Thanks to the hi-tech build quality of Samsung and the world is accepting its way. It’s still not clear that who, Google or Samsung will officially launch the device. Let’s wait and see! There is speculation about the nomenclature of the device as well. Some websites say, it will be named as Galaxy Nexus. Let’s play! 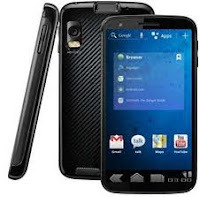 “Nexus Prime” or “Galaxy Nexus”??? Saholic.com is India’s leading online store providing next day delivery. It is an online venture of Spice group. Saholic.com is known for introducing fantastic deals on exciting mobile devices. 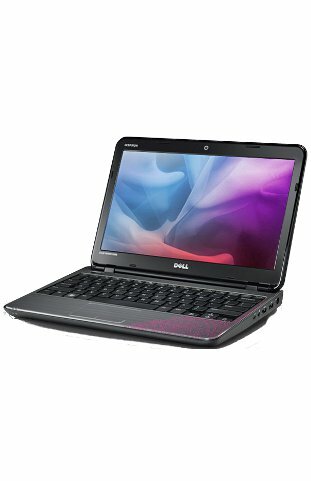 Recently, the website has introduced laptops. A dedicated category has been made for laptops such as Dell, Lenevo, Compaq, HP, Acer, and Toshiba. The website is aimed to include other brands as well in the coming days. It is a trusted e-commerce portal with 24*7 customer care support. The website ensures next day delivery in most of the parts of the country. However, the standard delivery time is 3 business days. The website lets the customers shop 24 hours, with total comfort. It is buzzed that the presentation style of content is very unique. One can easily check the detailed specifications of product before placing order. High resolution image is also being displayed at the website to help customers select the product easily and conveniently. Earlier, the website was dealing in mobile phones and related accessories. With the expansion of its product range, it is expecting a new height in its revenue. The company sells mobile phones of Nokia, Samsung, Spice, BlackBerry, Sony Ericsson, Micromax, Apple, LG, HTC, Motorola, Alcatel, Karbonn, and Lava. The website is selling mobile phone accessories such as battery, charger, headset, car charger, carrying case, Bluetooth headset, cleaning kit, data cable, decal, face plate, memory card and screen guard. The website also offers pen drives and portable speakers of various brands. To simplify the online payment, the website provides many payment modes such as credit/debit/ATM card payment, net banking, and cash on delivery. The website offers lucrative deals time to time, which one can track at http://www.facebook.com/mysaholic. It also presents festive deals with bumper gifts, 100% cash back, and discounts. Android festival at Saholic.com was very successful and made good customer base with attractive deals. It’s raining MOBILE PHONES this Diwali!!! Yes, it’s raining mobile phones this Diwali. Online and offline mobile phone retailers are offering great deals on mobile phones. However, online retailers are offering more attractive and lucrative deals on phones. If you are looking to change your old phone and get a new, avail the electrifying opportunity to get phones at very affordable price. It’s been buzzed that saholic.com is offering great deals to its valuable customers. It is offering mobiles at half rate with the purchase of laptops. This online retailer has recently added laptops. Introductory offers are very attractive, even for feature-rich laptops. Saholic is also offering 100% cash back to its every 100th customer. One can check the 100% cash back winners at http://www.facebook.com/mysaholic. Nokia has introduced three smartphones – Nokia 600, Nokia 700, and Nokia 701 with the updated Symbian Belle OS. Nokia claims these phones have brightest mobile display.